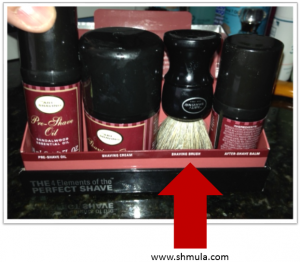 Ever Wonder What Kaizen and Shaving Have in Common? 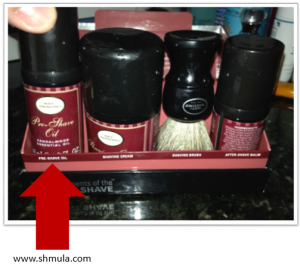 Home » Posts » Lean Manufacturing » Kaizen » Ever Wonder What Kaizen and Shaving Have in Common? At first glance, there’s no relationship between Kaizen and Shaving. But, like most things, it takes creativity and insight to recognize that a well planned and executed Kaizen that yields positive results is no different than a well executed and planned shave, where the outcome is a close, clean, and a razor burn free shave. Let me explain. And, clearly, there’s a before shaving and after shaving picture, just like there is a Before Kaizen and After Kaizen. Yes, I’m laying it all out there. Totally vulnerable now. You see, Folliculitis – though it sounds cool and smoothly rolls off the tongue when said s l o w l y – is actually not a good thing. Folliculitis is having your facial hair declare war on its own skin. It hurts. To help me out, my wife thoughtfully bought me a special shaving kit. Indeed, she bought me The Art of Shaving. And, just like there’s a science and art to shaving, there’s also a science and art to Kaizen. Let’s explore the similarities and further investigate what the heck shaving has to do with Kaizen. Kaizen, or changing for the better, has both an aspect of art and an aspect of science. Both are really part and parcel of each other for the most effective application of Kaizen. The Art of Kaizen has at its core the importance of people. 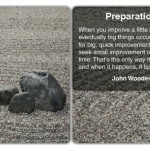 The focus of Kaizen is in improving both the process, but also in developing people. It is an art to develop others and in the context of Kaizen, it is art to be able to do so. The other side of Kaizen is the science of Kaizen. 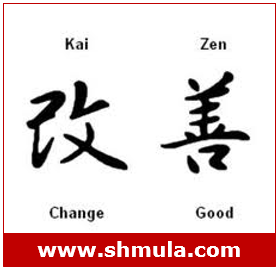 This means that the practice and application of Kaizen is systematic and ordered. Let’s take, for example, Kaizen Training. In training groups and individuals in the principles of lean and in the practice of Kaizen, there must be order for it be most effective. This means that Kaizen follows a process and that systematic process is the vehicle for both developing people and also in improving the process – the art and science of making things better and changing for good. Now let’s dig into my new Art of Shaving to see what it teaches us about what might the key elements in Kaizen should be. When I first open up my Art of Shaving Kit, I’m immediately introduced to the steps to a proper shave. 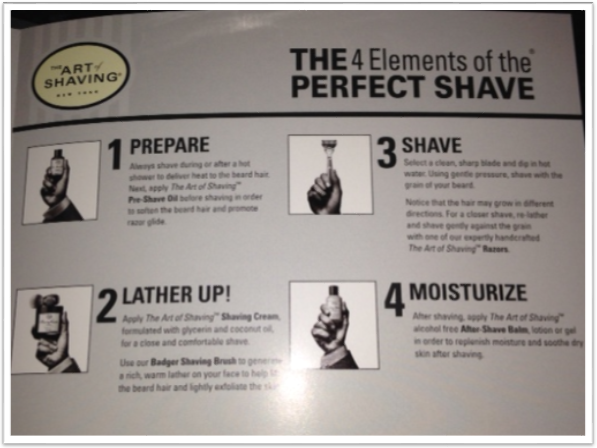 As I looked at this instruction sheet, it immediately dawned on me: the 4 elements to the perfect shave are the same elements to the perfect Kaizen. Wow. I was blown away. So, I gave it a shot. I took a hot shower then I put on the Art of Shaving Pre-Shave Oil. The Oil is really a mix of sandlewood, olive oil, and nice smelly perfumes. No big deal – or so I thought. 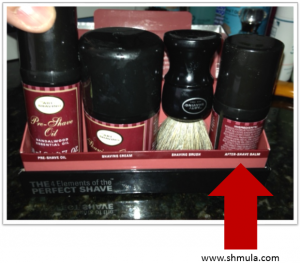 It turns out that the Pre-Shave is a step that sets the rest of the shaving experience up for success. To my surprise, the Pre-Shave oil massively softened the hair on my face, which later helped make the actual shave super easy. Date, Time, and Location reserved. Problem Statement and Scope of Event completed and agreed-to by team and stakeholders. Deliverables agreed to and Key Metrics identified. Team members are identified and are invited to the event. Lunch or Dinner is provided – this is not a trivial detail – this is very important in order to maintain energy and focus. And, it’s a thoughtful gesture for those involved. Remember – people first. Have resources ready – machines, electricians, carpenters, etc. – have the resources ready so countermeasures can be put in place THAT day, and not wait for to have the problem solved later. 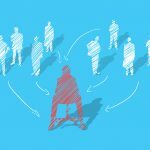 Buy-in from critical stakeholders – this means having your boss involved, or his boss, or his boss’s boss involved. Having decision makers’ support prior to the actual event and the their implicit and explicit support for the action items after the event is a must-have. If any of the Pre-Kaizen items above (these are just some, there are others I’m not mentioning), the overall effectiveness of the Kaizen event will be diminished. 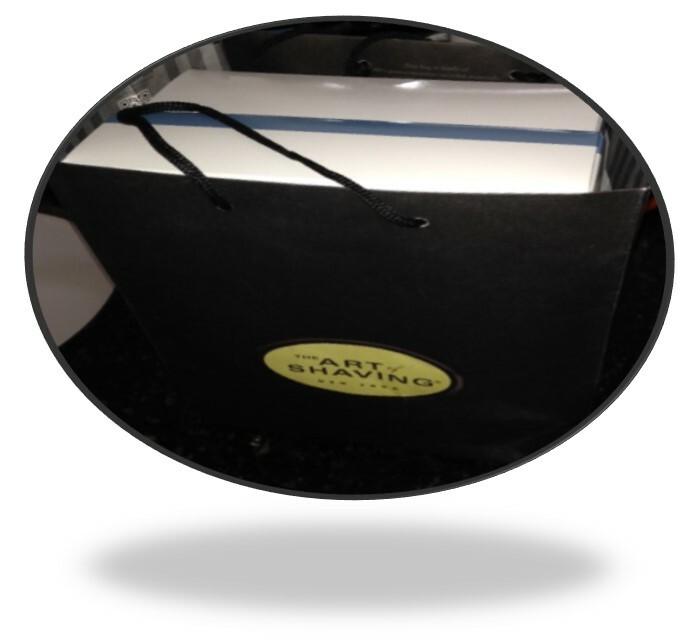 So, just as the Pre-Shave helps the rest of the shaving experience go well, the Pre-Kaizen items are critical in order for the rest of the Kaizen Event to hum nicely and effectively. After the Pre-Shave, the instruction tells me to use the Art of Shaving Lather, which is made with Glycerin and Coconut Oil. Something immediately stood out to me as I tried their Lather versus the store-bought shaving cream: The Art of Shaving Lather is about 1000 times thicker than the shaving cream at your convenient store. WoW. “Why so thick?”, I wondered. As it turns out, the thick shaving cream really helped my skin and really softened the hair for shaving. The razor glided across my face like no other razor has every glided epidermis before. Lather up is an extension of Prepare and is a necessary step in both shaving and in Kaizen. Pilot test the countermeasure. Observe results. Improve. 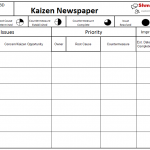 Complete Kaizen report-out or Kaizen Newspaper. When you’re done shaving, the people at the Art of Shaving suggest to use their aftershave. And, wow. Their aftershave is pretty amazing. It comes in a small bottle, but, man, does it make my face feel nice and smooth. In many ways, the aftershave is similar to the Post Kaizen activities. Post-Kaizen, it’s important that the achievements and the lessons the team learned are documented and then disseminated to the broader group. Doing this is important because it allows the team to receive praise, but also allows the broader organization to learn. Like aftershave and how it lessens the irritation from shaving, Post-Kaizen heightens the ability of the organization to learn from the efforts of the Kaizen team. 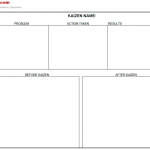 And, to help solidify it even more, download a free point kaizen event guide here! I love the connection with kaizen – it’ll be hard not to think about kaizen as I shave each morning now. 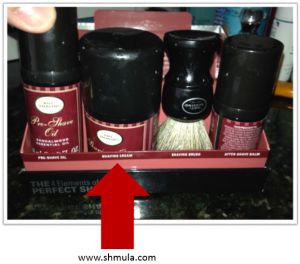 Also, from the picture, it looks like the art of shaving kit has helped you 5S your shaving products.